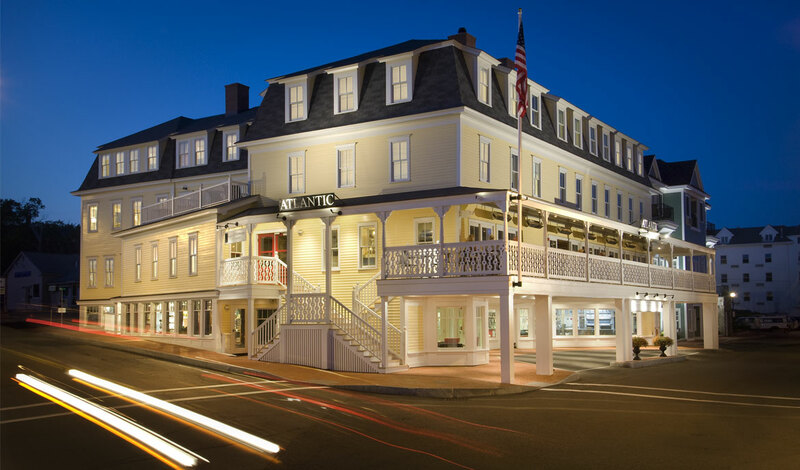 Originally built in 1887 on York, Maine’s Short Sands Beach, the Atlantic House has been restored to its former glory as a grand beach hotel with an elegant restaurant, luxurious hotel rooms and retail shops. 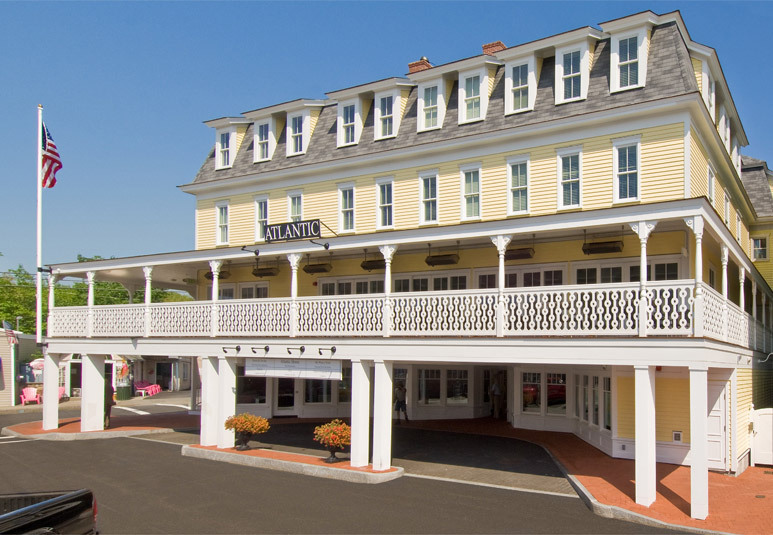 Then, as now, the patrician beach hotel features long open balconies with ocean views and is located in the heart of York Beach’s thriving summer business district. Most recently known to locals as Pop’s Shell Shack, the building had fallen into a serious state of neglect and disrepair. 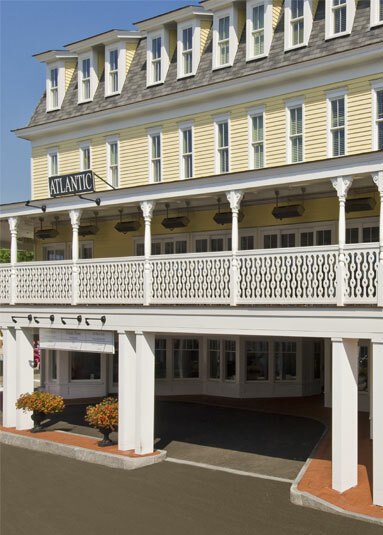 Purchased by a local realtor, Donald Rivers, in 2003, the structure was completed renovated by TMS Architects and John DeStefano Associates Construction Company. The structure was transformed from a derelict wooden structure into an elegant beachfront destination becoming an integral part of York Beach’s renaissance. The design of the building’s exterior was relatively clear to the team as the architects were able to work from an extensive library of historical photographs. The interior, however, presented many more challenges, as a number of pieces had to fit together to make it suitable for the new owners. Retail spaces had to be integrated into the first floor design, a suitable space created for the second floor restaurant, and nine hotel/condominium units were incorporated into the 3rd and 4th levels’ floor plans. 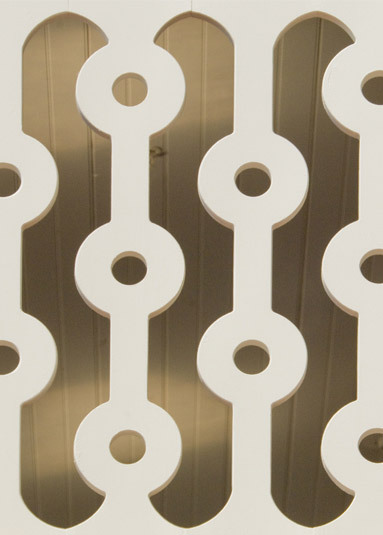 As an example of the challenges, the ceiling would have been too low if the ductwork was hidden. Instead, the architect choose to leave the ductwork exposed it and added a wood material on the ceiling, creating what one of the contractor’s termed a “modern industrial cottage look”. 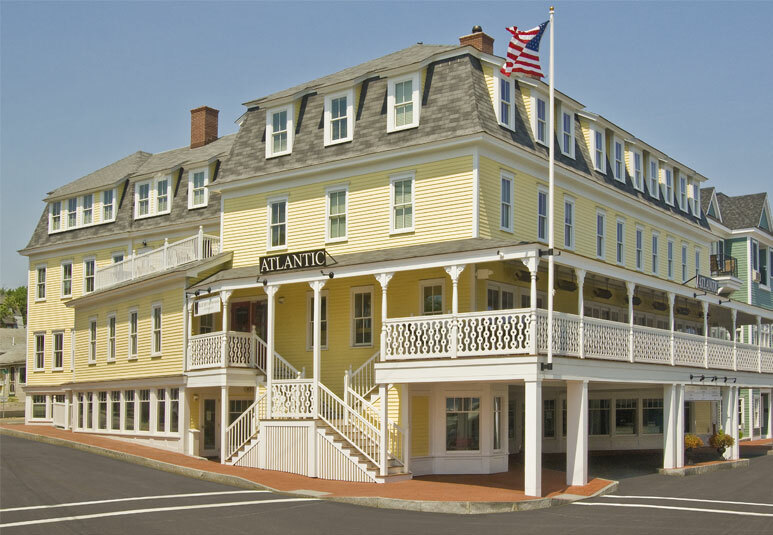 Due to the combined efforts of a supportive community, dedicated developer and talented project team, the Atlantic Hotel is once again a proud showpiece in this historic beachfront community.